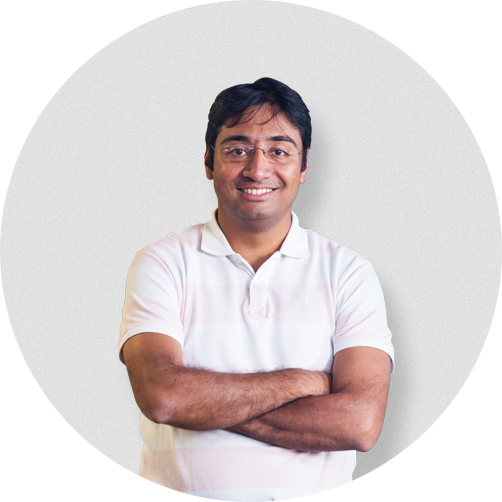 Abhay is the Co-founder and President of Advertising Cloud at InMobi. He has don multiple hats at the company since its inception - Chief Revenue Officer & Head of Human Resources are just to name a few. As an entrepreneur at heart even during his undergraduate years, he co-founded TeN and raised VC money shortly. He headed sales at TeN and contributed to a significant revenue growth under him. His love for entrepreneurship and urge to build a company of a global scale took him to Mumbai along with Naveen, Amit and Mohit where the disruptive journey of InMobi began at their shared apartment growing to 1.6 billion unique users across over the globe. Abhay innovates future growth opportunities for advertising business by taking care of sales and global revenue strategies development. He has spoken globally about entrepreneurship, people, and culture and has been instrumental in getting InMobi recognitions like 50 Most Disruptive Companies in the world by MIT Technology Review, Outstanding startup of the year award by Forbes and many more. His love for innovation took him to Indian Institute of Technology, Kanpur (IIT) for his bachelors where he was also honored with the esteemed ‘Distinguished Alumnus Award’ for his excellence in entrepreneurship, in 2013. His leadership mantra is simple - the essence of leadership is not only to have a vision but also what it takes to translate it into action.